What’s the broad outlook for the UAE maritime sector? How does the situation align with Dubai’s Maritime Vision? The outlook for our country’s maritime sector, one of the key economic pillars, remains upbeat, with the solid fundamentals further being reinforced by continuous initiatives of the government and unwavering support of our wise leaders. The strategically located UAE is Asia’s most connected country in the maritime world, boasting new technologies, safe and sustainable environment, and modern infrastructure capable of handling all kinds of ships at its key ports. With 20 international ports, many of which are among the top 10 ports in terms of advanced infrastructure in maritime transport and shipping, the UAE’s maritime sector is critical to sustaining the country’s position as the second biggest economy in the Arab world and furthering its ambitious economic diversification strategy. The UAE, which has rich maritime history and considered as a strategic trade corridor serving as a link between the East and West, is now one of the most influential global maritime economies. The outlook for our country’s maritime sector, one of the key economic pillars, remains upbeat, with the solid fundamentals further being reinforced by continuous initiatives of the government and unwavering support of our wise leaders. What new initiatives have been taken to bolster UAE as a vital hub in the global logistics supply chain? We have introduced several initiatives and strategies to develop and expand the maritime sector. Most of these initiatives are inevitable to improve local maritime infrastructure, implement best international practices, and push for new collaborative efforts with our regional and global partners, according to the directives of our wise leaders. Among these are the Dubai Maritime Virtual Cluster (DMVC), which was launched to promote research and development (R&D), innovation, and training, among other key tasks. Moreover, we offer a host of smart applications services for online inquiries and payments. We also host global maritime events including the annual UAE Maritime Week in Dubai. What are the current and upcoming investment opportunities and strategic partnerships in the sector? The UAE, a major investor in the regional maritime sector, is currently focusing on increasing inflows of regional and global investments into the local market. With this goal at the centre, the government is making sure that we sustain a business-friendly environment equipped with the right infrastructure, logistical support, and technology, among others. Additionally, we will continue to strengthen our capabilities in the areas of maritime services, trade, construction, maintenance, and berthing facilities, and explore how we can further thrive amid increased business connectivity worldwide. Investments in ports and marine industries will continue as well. What remains to be done to achieve the goals of Dubai’s Maritime Vision? Presently, Dubai, one of the top five cities in the International Shipping Centre Development Index, is among the world’s top five leading maritime clusters in terms of competitiveness and attractiveness of its maritime cluster components. We have accomplished so much in pursuit of our vision but we are not slowing down as we continue to develop an integrated, safe, and sustainable maritime environment that is responsive to the current and future needs. For one, we will formulate more creative ideas to enhance the maritime sector’s competitiveness and make the emirate one of the world’s most innovative cities. As such, we will sustain our strong collaborations with relevant government entities, private businesses, and stakeholders to create an investment-friendly environment within the sector and help drive economic sustainability and growth. Second, we will further expand the scope of our work and lay down effective policies to support and secure maritime operations and businesses across Dubai. Third is to reinforce research and development initiatives in support of innovation and smart transformation efforts in the city and the rest of the country. At the DMCA, we will continue to implement our maritime education and training programmes and deploy more new plans for the emirate’s expansion through close collaboration with the private sector. 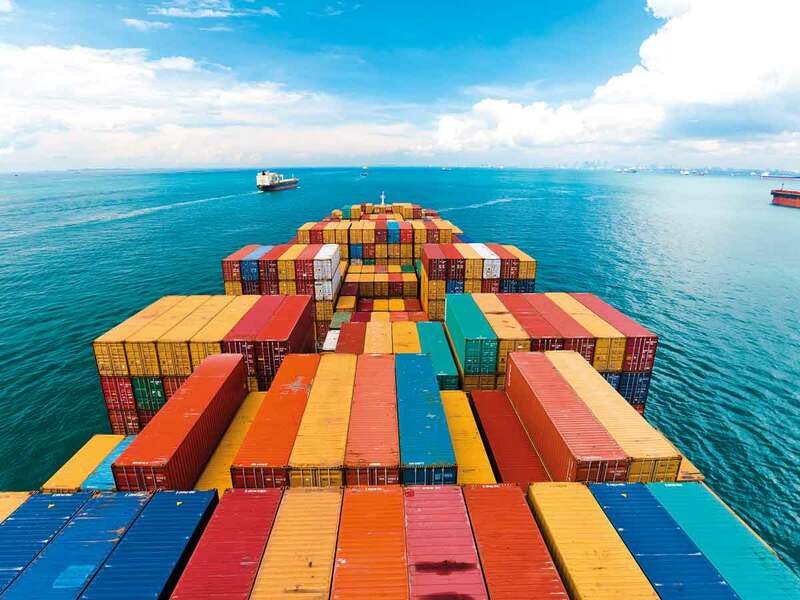 DMCA attained the competitive advantages of the local maritime sector, which currently hosts more than 7,400 companies and at least 13,000 maritime and investment activities.